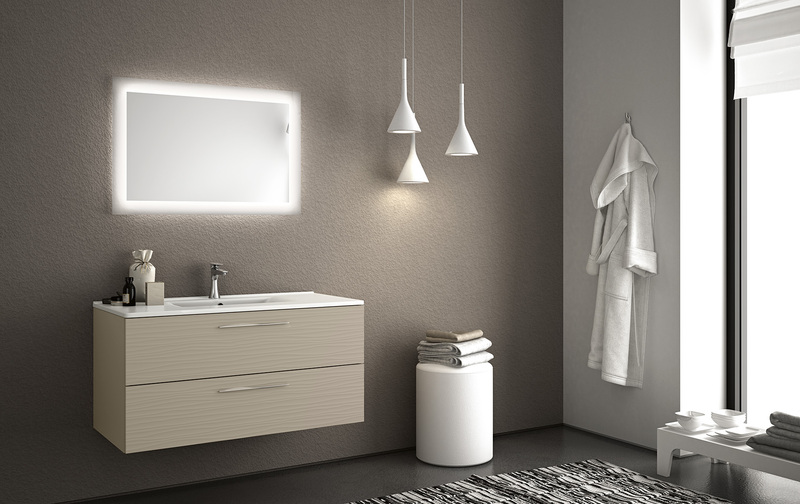 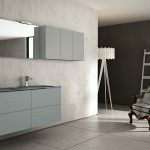 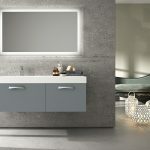 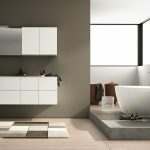 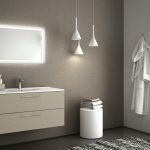 Sahara bathroom design is the scent of distant lands, the linear shades and the sober design get enriched by the precious touch: the unique texture of its fronts, creating motion and plays of light. 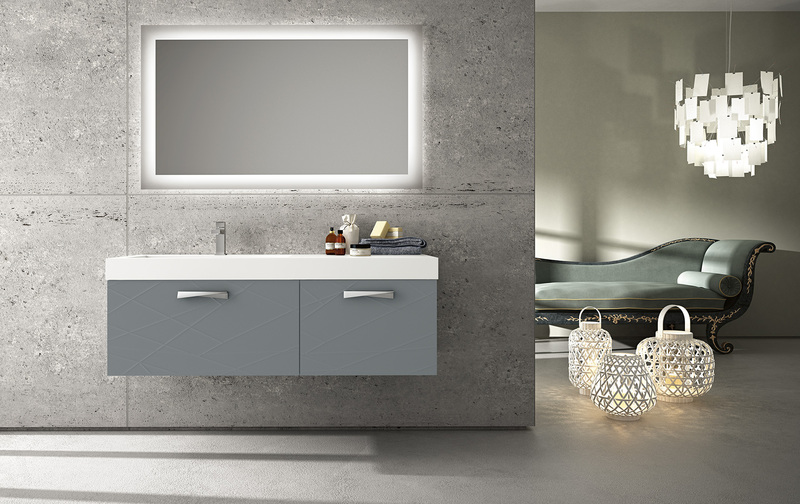 The furniture is available in two patters: Dune, softly suggestive as the sand and Oasi with geometric delicacy. 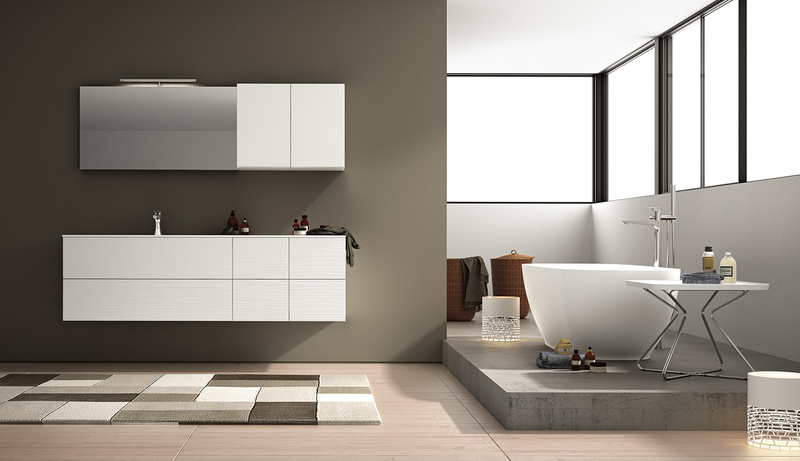 The neatness of matt finishes is combined with a large range of colors. 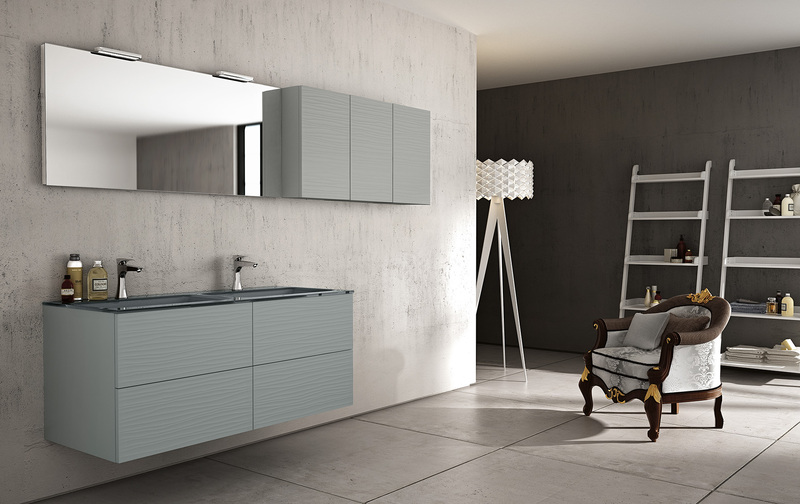 Available in large choice of lacquered finishes.